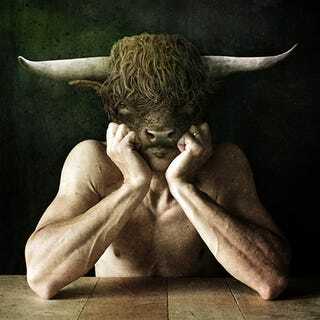 Italian artist Francesco Sambo's Bestiary is a collection of digitally manipulated pictures where he swaps his head for that of different animals. The resulting beasts can be sometimes creepy, sometimes cute, but always interesting to look at. Francesco Sambo is a multidisciplinary artist based in Venice, Italy, that focuses on digital art, video, and photography. You can follow Francesco on Facebook and Twitter, or check out his work on his website and Behance.